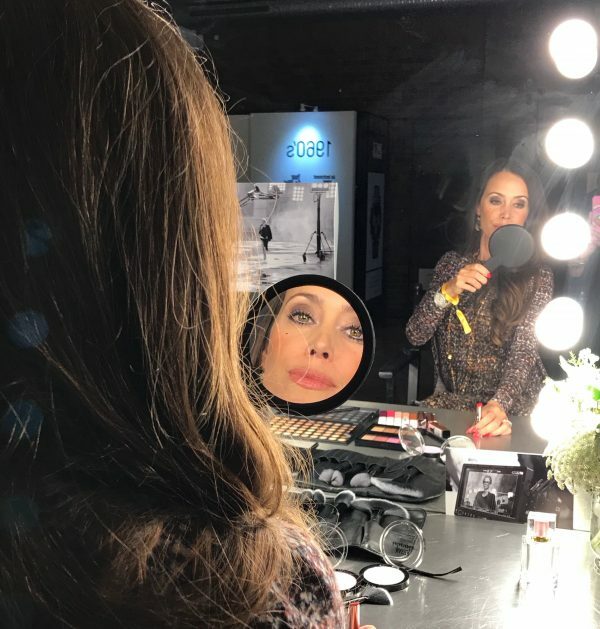 You are currently browsing the archives for the tag 'georges kern'. 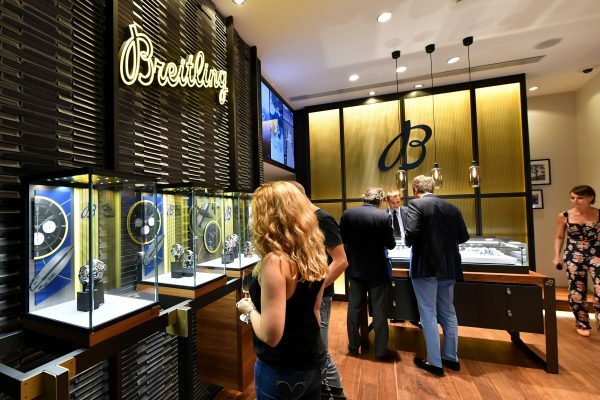 Last night, I attended the opening celebration of BREITLING‘s newly designed boutique, situated in a prime location on Augustinergasse in Zurich. During this dazzling, high-profile red-carpet event, VIP guests and customers were treated to a cocktail party and dinner, followed by a concert performance by Swiss pop star Baschi. 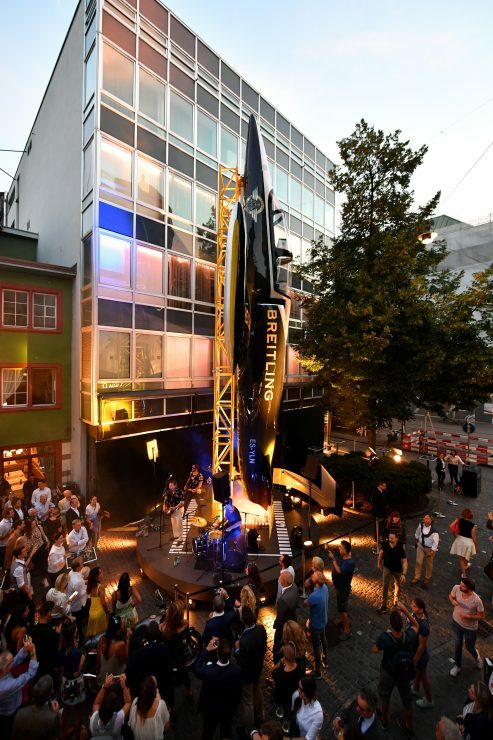 A full-scale mock-up of a Breitling Jet Team aircraft in front of the boutique caught the eyes of passersby, who took the opportunity to be photographed with the impressive flying machine. 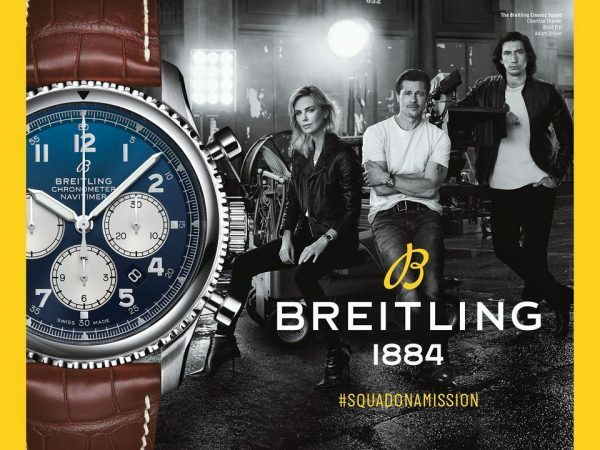 #SquadOnAMission – Me surrounded by the Swiss Air Force’s Patrouille Suisse elite aerobatic squadron at the Breitling opening. 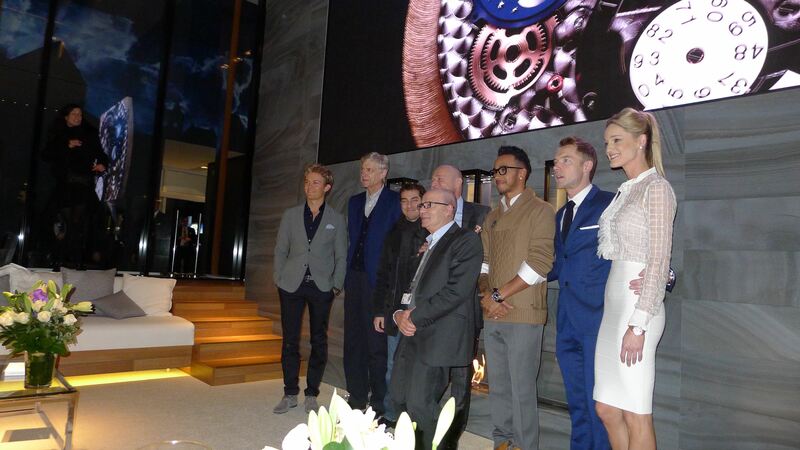 BREITLING CEO Georges Kern was joined at the opening event by an impressive roster of special guests, including former World Cup Alpine ski racer, Winter Olympic gold medalist, and pilot, Dominique Gisin, multiple Ironman champion and duathlon specialist Ronnie Schildknecht, celebrated Swiss chef René Schudel, Breitling Jet Team leader Jacques Bothelin, and members of the Swiss Air Force’s Patrouille Suisse elite aerobatic squadron. With Breitling CEO Georges Kern at last night’s opening. 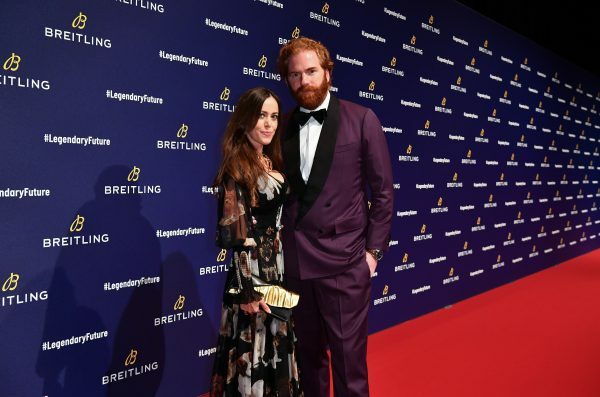 Breitling’s newest brand ambassador, internationally renowned model Ronja Furrer, was also in attendance along with her boyfriend singer Stress. 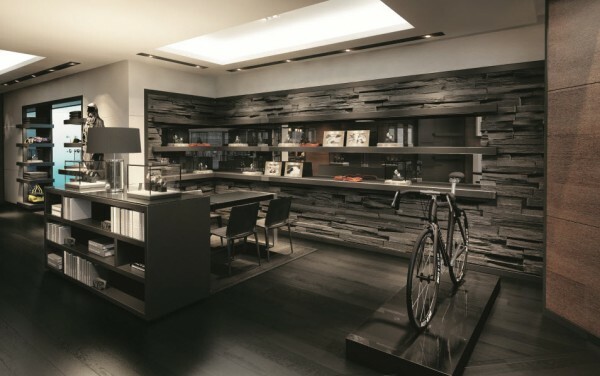 Redefining industrial-chic luxury, the boutique’s interior space is divided over two floors. 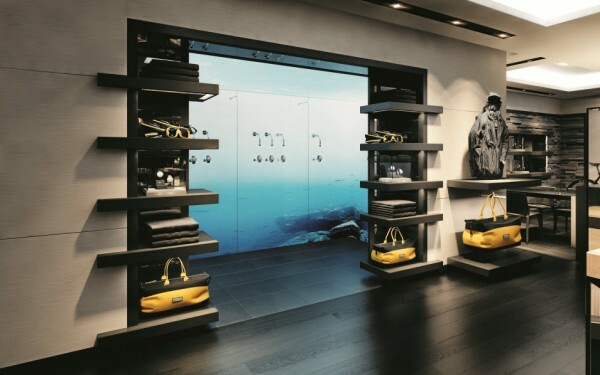 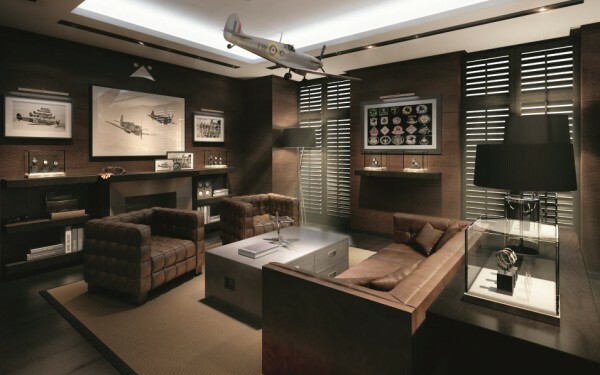 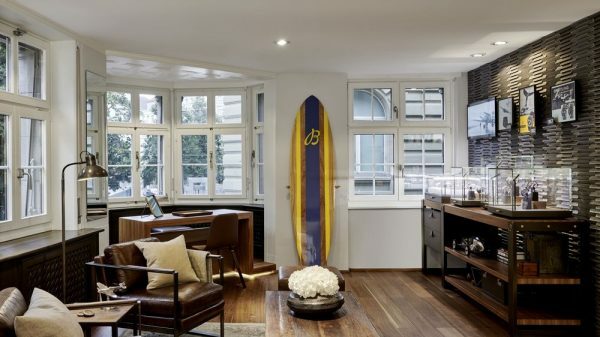 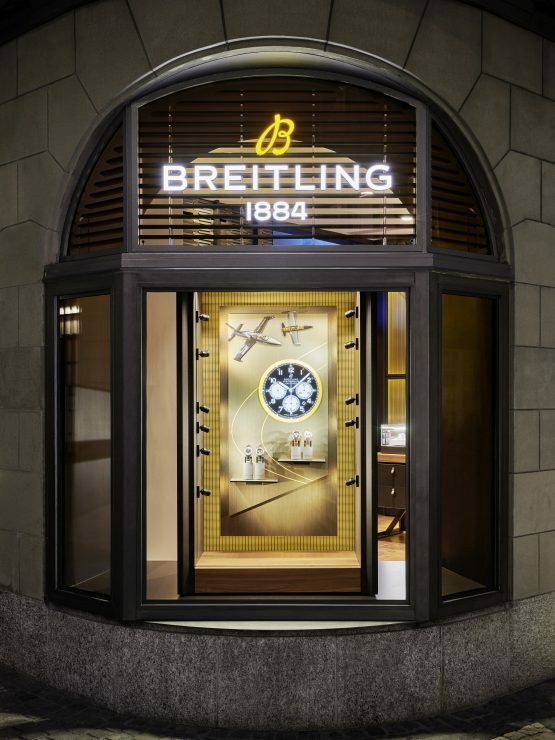 On the ground floor, Breitling’s watches are presented in vitrines and display cases whose design reflects the urban-loft ambience. 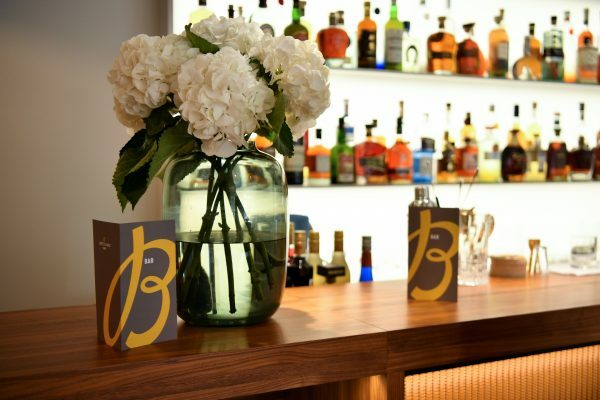 Upstairs is a bar and lounge area where visitors can escape from the hustle and bustle of the city just outside the boutique’s doors and enjoy a drink while exploring some of Breitling’s iconic collections. 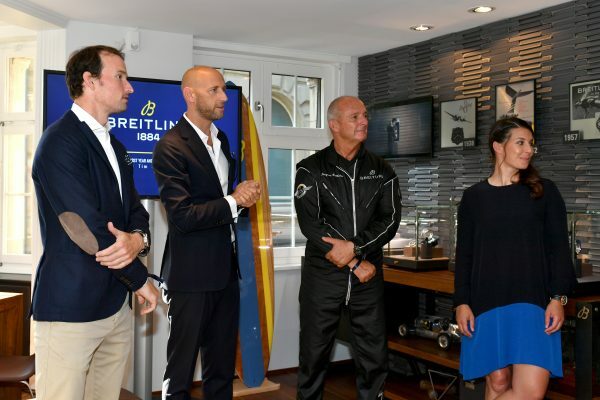 Ronnie Schildknecht, Breitling CMO Tim Sayler, Jacques Bothelin and Dominique Gisin at the boutique opening. 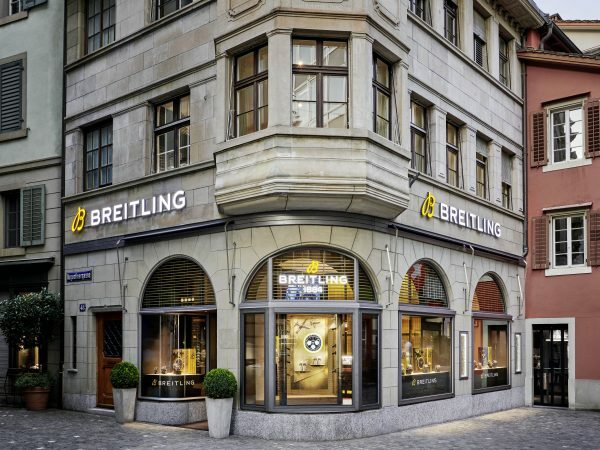 Along with Adrian Bindella, CEO of Zett-Meyer, Steven Biedert, Breitling’s Brand Manager in Switzerland, and the brand’s celebrity guests, Georges Kern cut the ribbon, officially opening the Breitling Boutique Zurich. 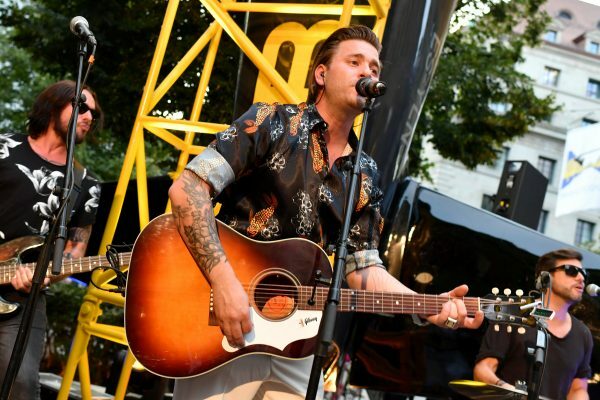 Following the boutique opening, guests enjoyed cocktails an «unplugged» concert performance by Baschi, one of Switzerland’s most popular musicians. 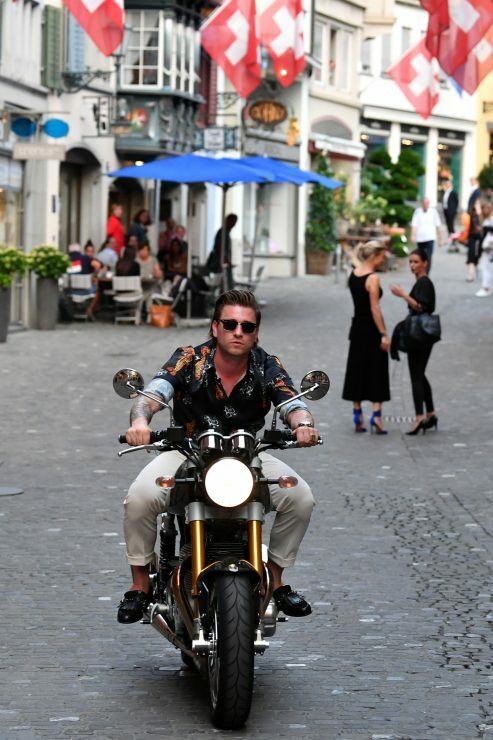 The singer arrived in style on a motorcycle created by iconic British brand Norton, one of Breitling’s partner companies. 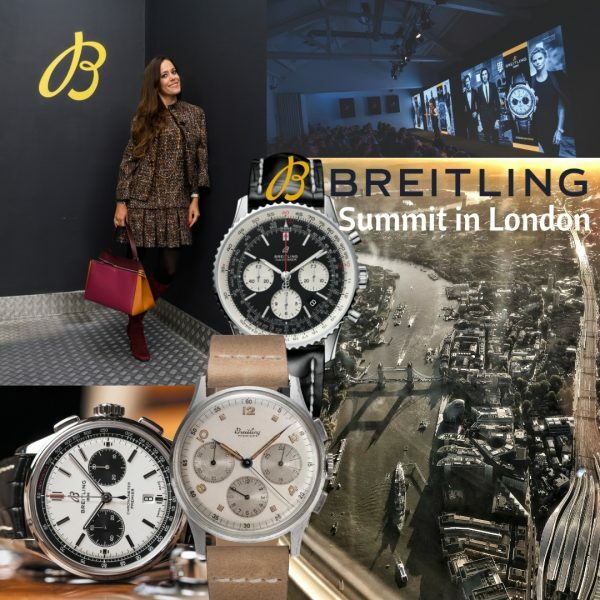 The mock-up of the Breitling Jet Team aircraft – with its imposing dimensions (a height of 12.3 meters and a wingspan of 9.46 meters) – attracted attention throughout the event. 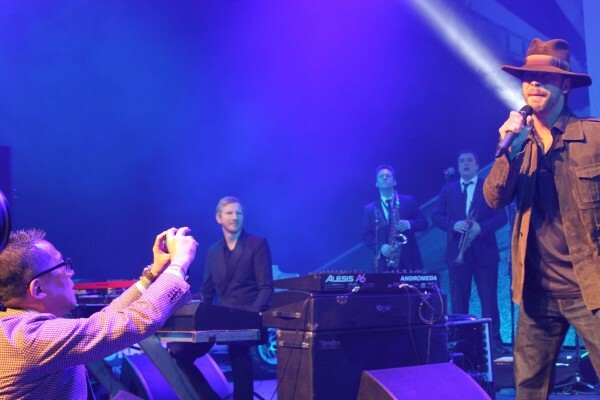 It served as a stage for Baschi’s concert, and also provided a perfect photo opportunity. 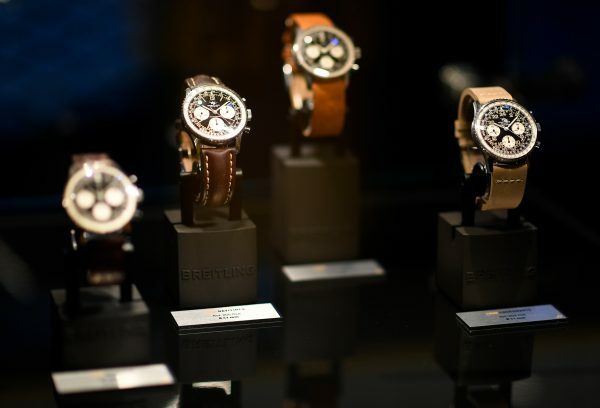 A great night with a lot of fun, thank you, BREITLING, for having me! 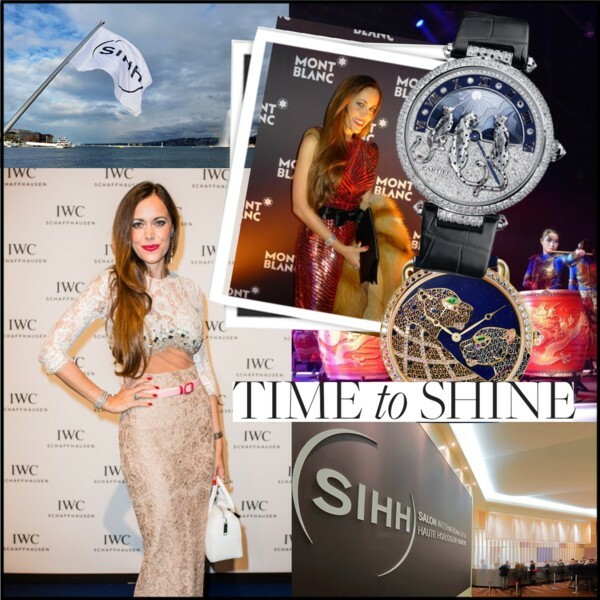 Today and running through the week, the Salon International de la Haute Horlogerie (SIHH) has opened its doors. 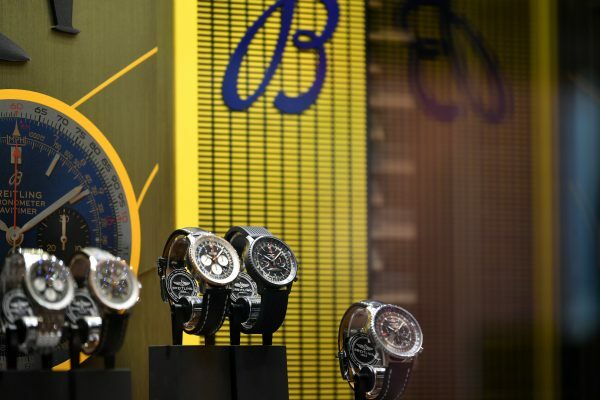 Only invited journalists and retailers from around the world are able to visit this most exclusive watch fair in Geneva at the Palexpo convention center. 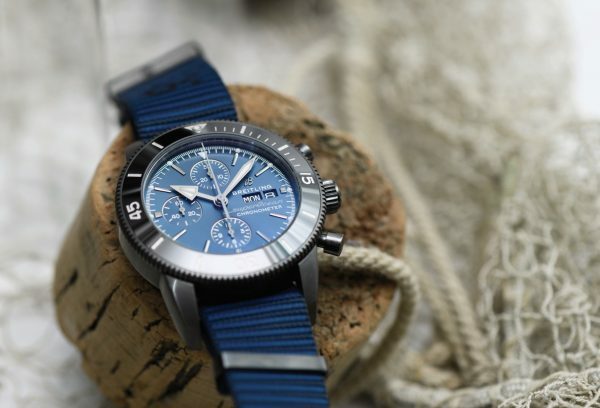 Renowned watch brands, such as IWC Schaffhausen, Audemars Piguet, Piaget, Montblanc, Cartier, Vacheron Constantin just to name a few display their newest timepieces. 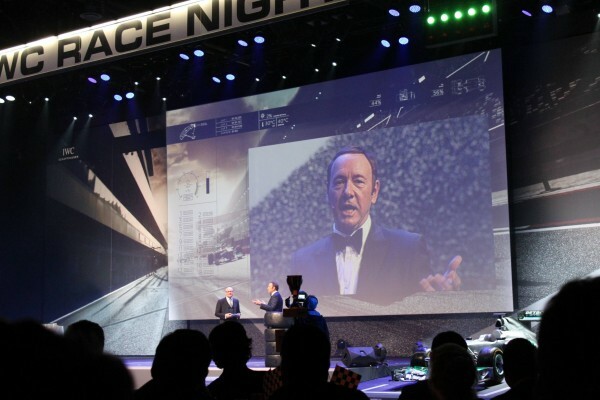 As all of these houses have in general famous ambassadors, you will most likely run in many celebrities at the exhibition. 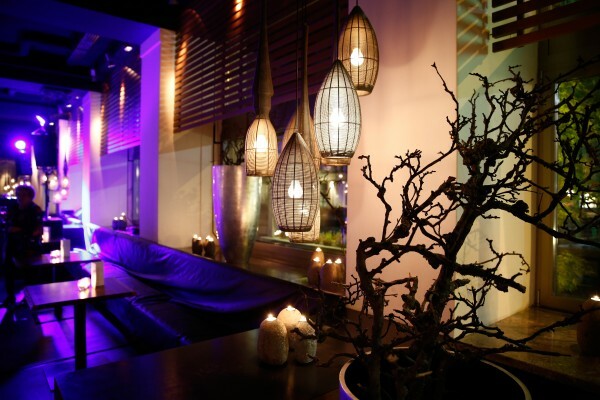 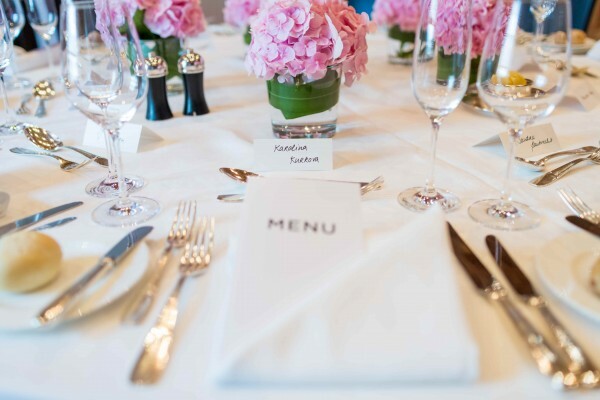 In the evening, exclusive events take place. 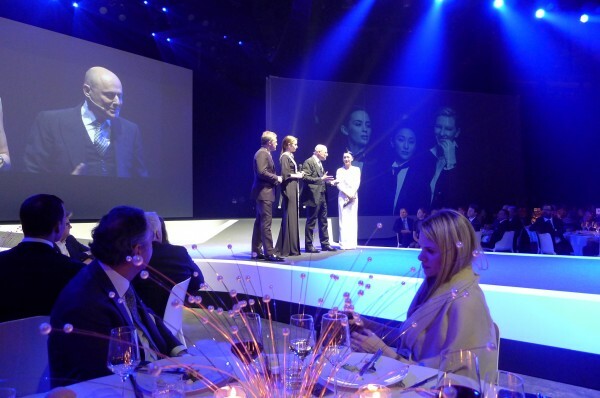 One that is definitely not to miss is IWC Schaffhausen’s gala night which always takes place on Tuesday evening. 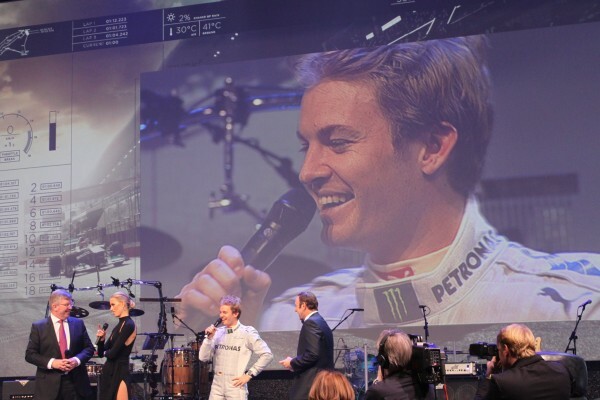 Enjoy some of my impressions of last year and stay tuned for the new ones coming up soon! 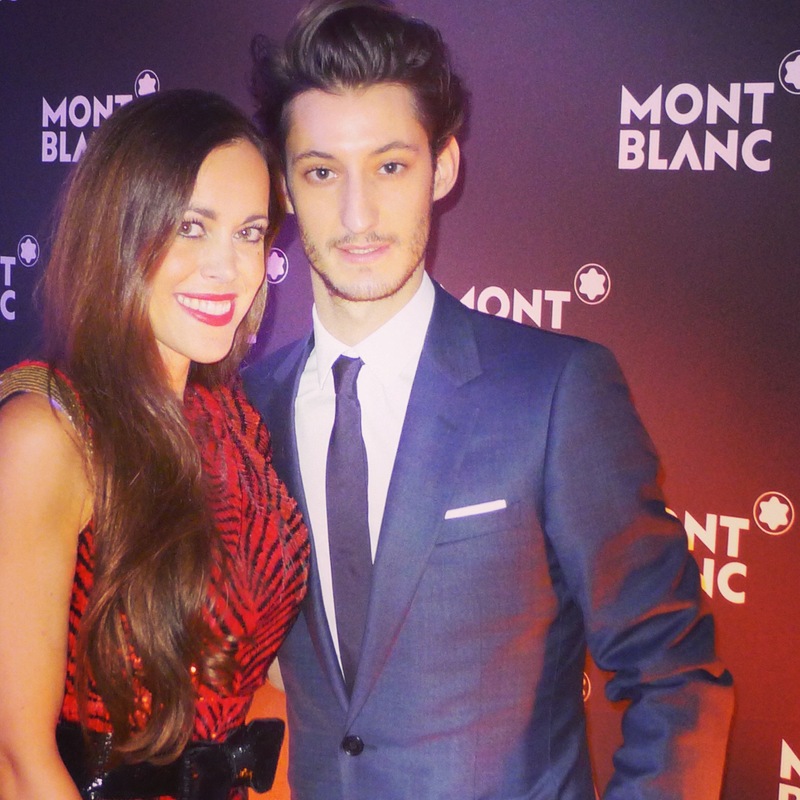 Monday night is Montblanc night. 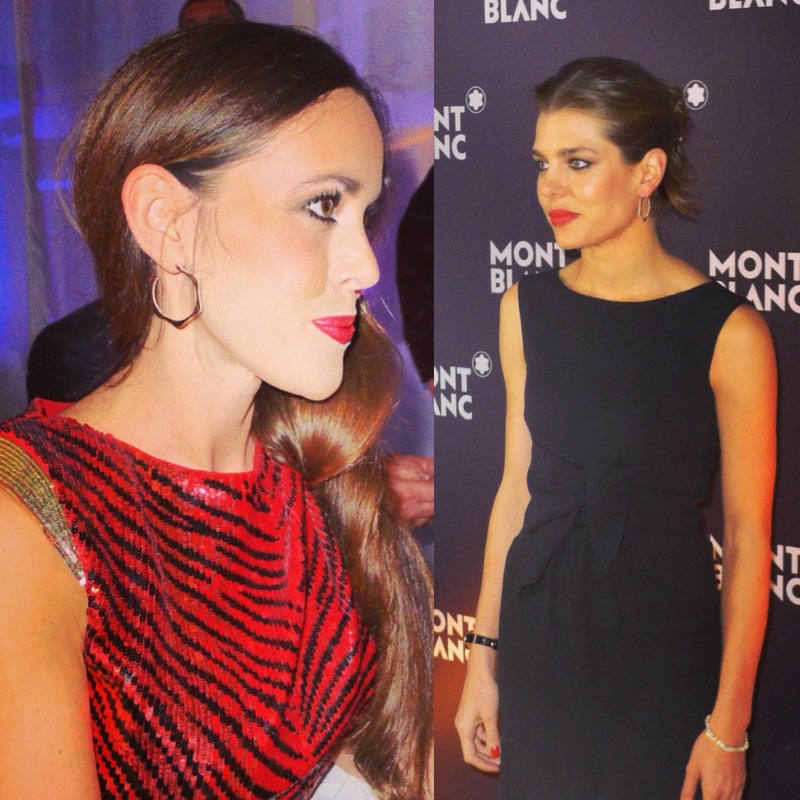 Charlotte Casiraghi wore the same Montblanc earrings than me. 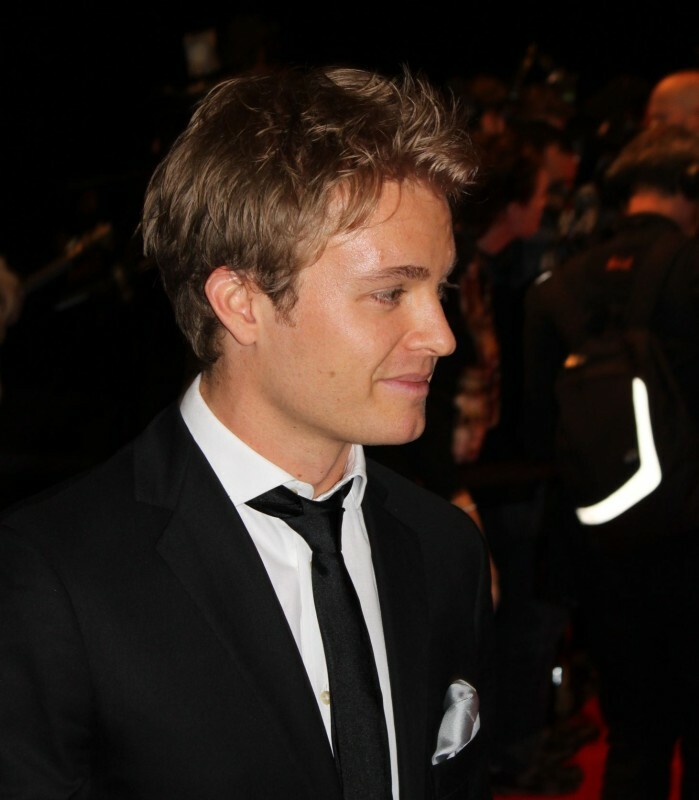 Tuesday is THE day at the IWC Schaffhausen booth, many celebrities (here among them Nico Rosberg, Louis Hamilton, Ronan and Storm Keating) visit the Swiss watch manufacturer. 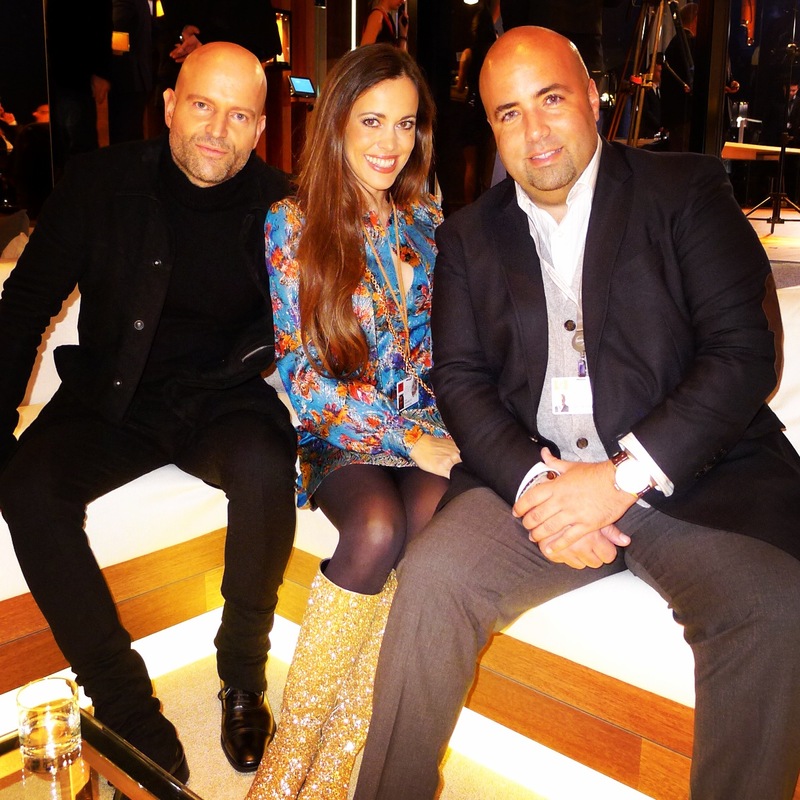 Framed by Marc Forster and Luis Garcia Fanjul. 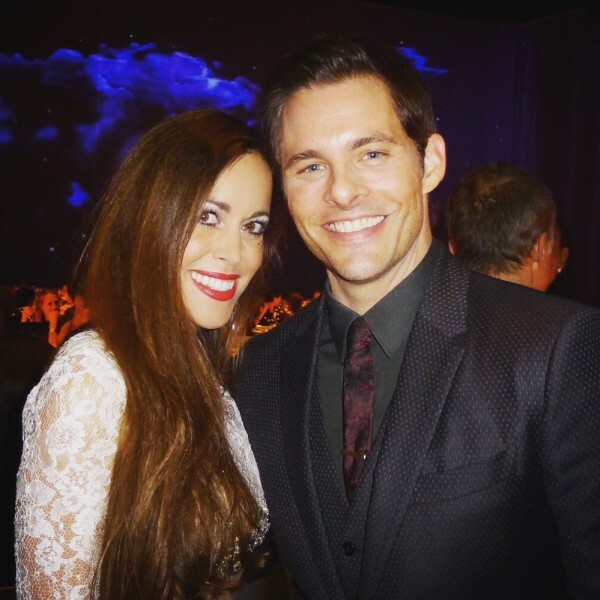 In the evening, the IWC gala «Journey to the Stars» took place which was amazing. 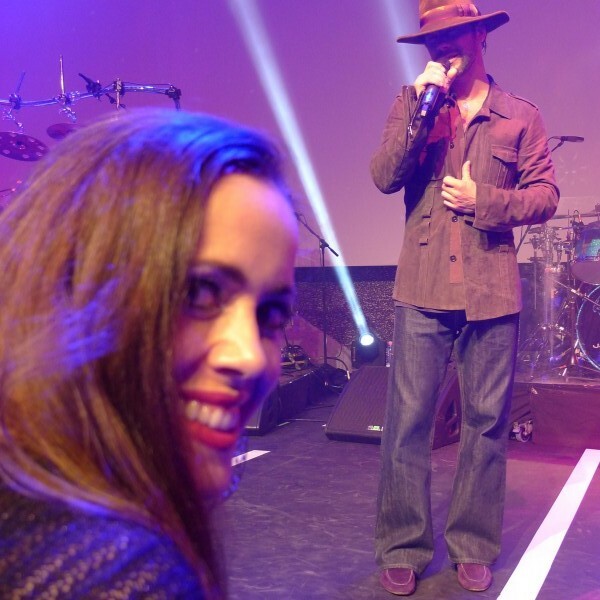 With Adriana Lima and Barbara Becker. Great performance by Simply Red frontman Mick Hucknall. 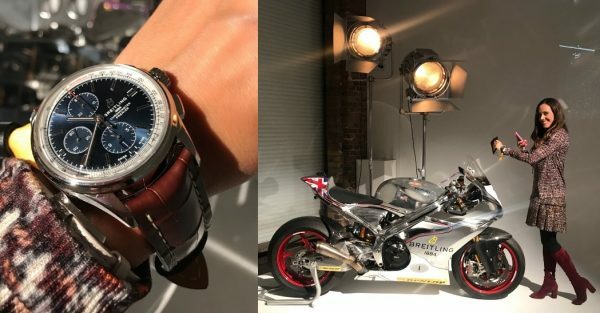 As SIHH is all about watches, I would like to show you two of my favorite models I spotted last year. First the Big Bang Broderie by Hublot. 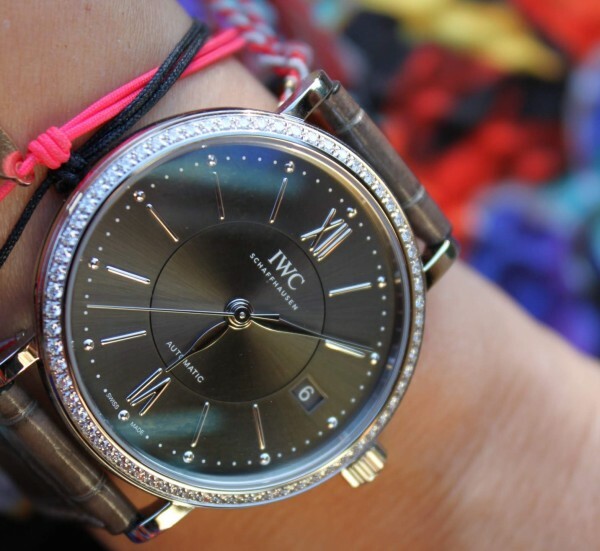 Sized at 41mm, these beautiful watches come in three styles (two are shown in the picture). 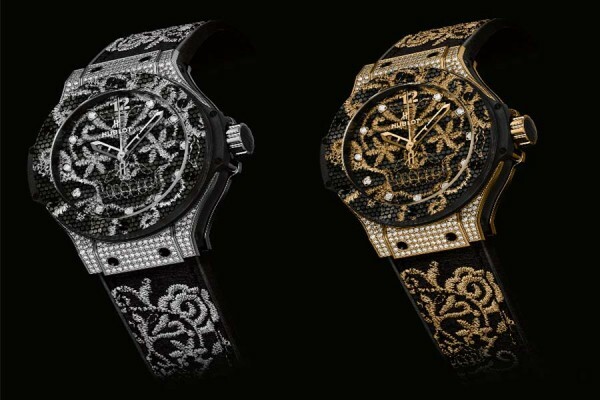 All are limited to 200 pieces, each style. 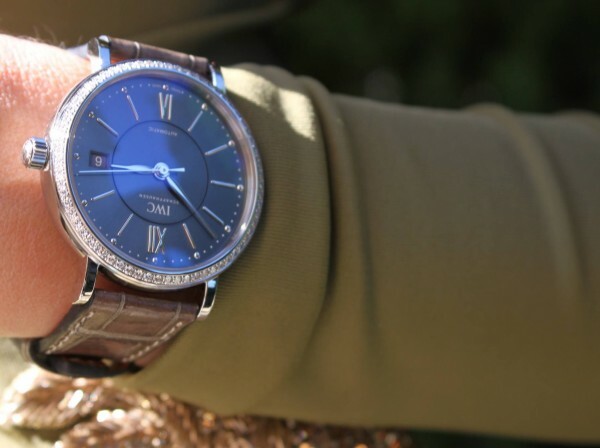 And second, Cartier‘s Rêve de Panthère watch. In this spectacular creation, Cartier’s panther emblem enters the decoration – at once diurnal and nocturnal – of a day/night movement that belongs to the great tradition of the Maison’s complications. 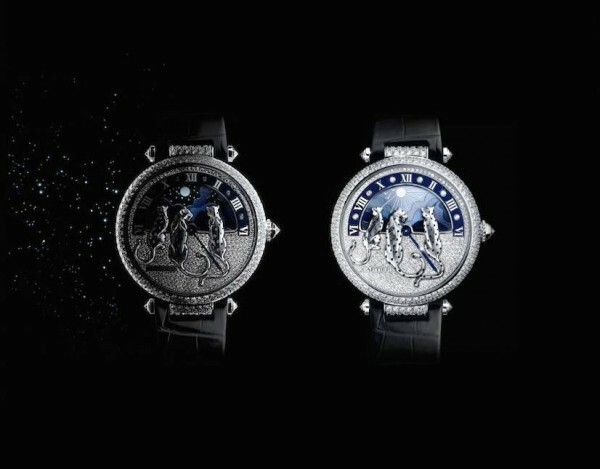 Like by magic, The background sky changes from starry night to shining sun for an extraordinary interpretation of time measurement. 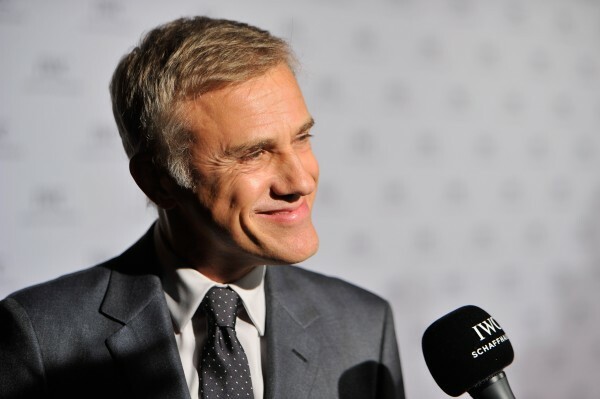 Saturday night as part of the 11th Zurich Film Festival, I attended the wonderful IWC Schaffhausen “For the Love of Cinema” Gala Dinner at the Park Hyatt hotel during which Oscar winner Christoph Waltz presented the first-ever Filmmaker Award, worth CHF 100,000 in sponsorship. 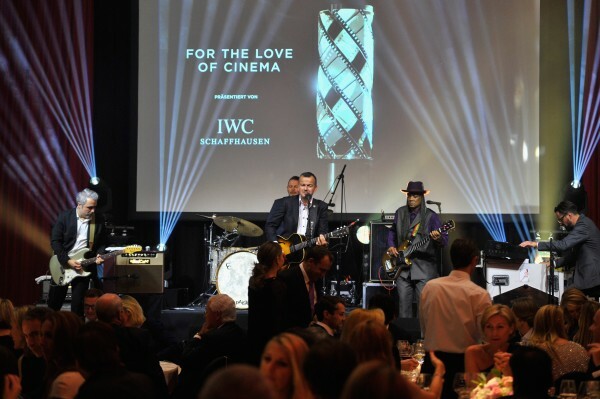 The award was set up by the Association for the Promotion of Film in Switzerland, which was founded last December by Marc Forster, IWC CEO Georges Kern, the co-directors of the Zurich Film Festival Nadja Schildknecht and Karl Spoerri, and the CEO of Ringier, Marc Walder. 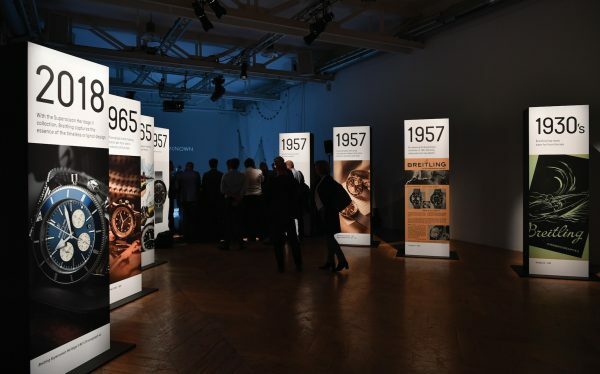 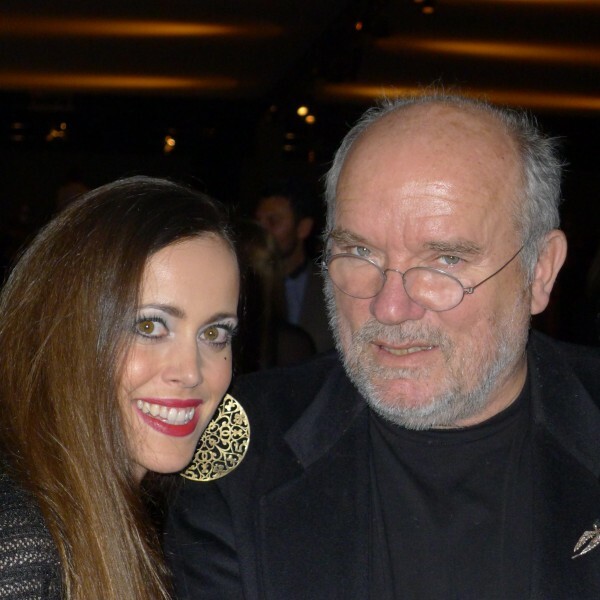 To celebrate the occasion, the Swiss luxury watch manufacturer had invited some 200 VIP guests from the worlds of film, media, politics and commerce. 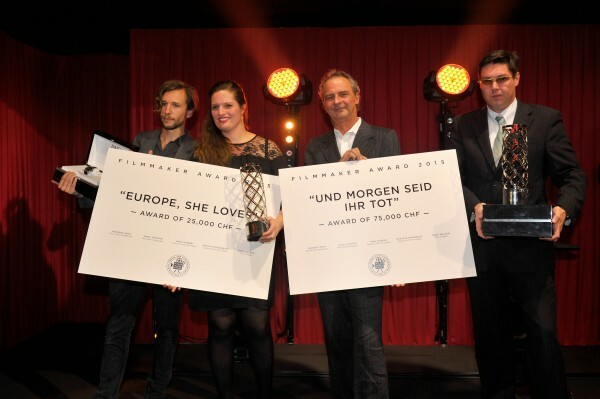 Bernhard Burgener, Norbert Preuss and Michael Steiner (“Und morgen seid ihr tot”) and Lisa Blatter and Jan Gassmann (“Europe, She Loves“) receive the Filmmaker Award. From the four nominated films, the jury picked two winners: “Und morgen seid ihr tot” (“Tomorrow You’ll Be Dead”) and “Europe, She Loves”. Christoph Waltz, who presented the award, shot to fame with roles in “Inglourious Basterds” and “Django Unchained” by the American cult director Quentin Tarantino. 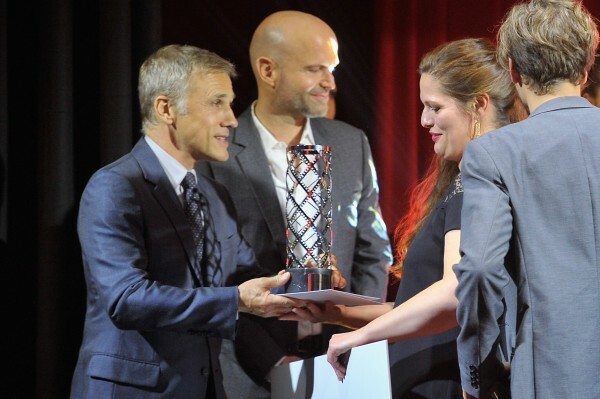 “I am proud to be here in person to present this award, which is very important for the Swiss film industry. 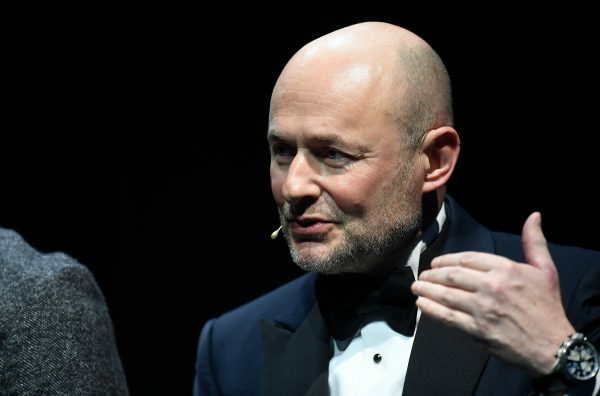 Providing sponsorship for filmmakers is a necessary and relevant task, one which makes a significant contribution to the diversity of Swiss film,” said the two-time Academy Award winner. 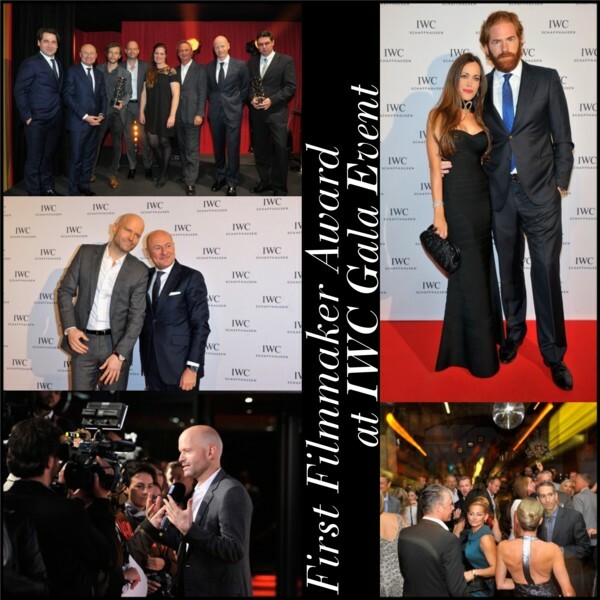 The two winning projects were also each presented with an IWC watch – the Portugieser Automatic in stainless steel with a black dial and a special rotor engraving with “1st Filmmaker Award Zurich 2015”. 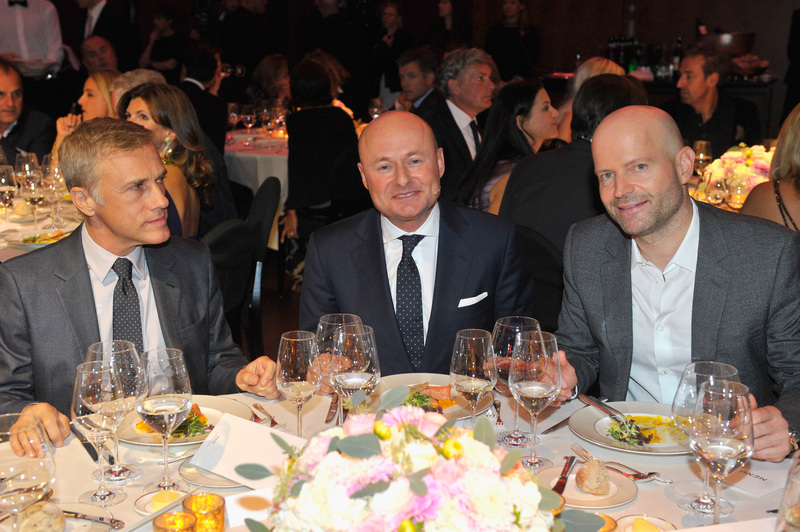 Actor Christoph Waltz, IWC CEO Georges Kern and director Marc Forster during dinner. 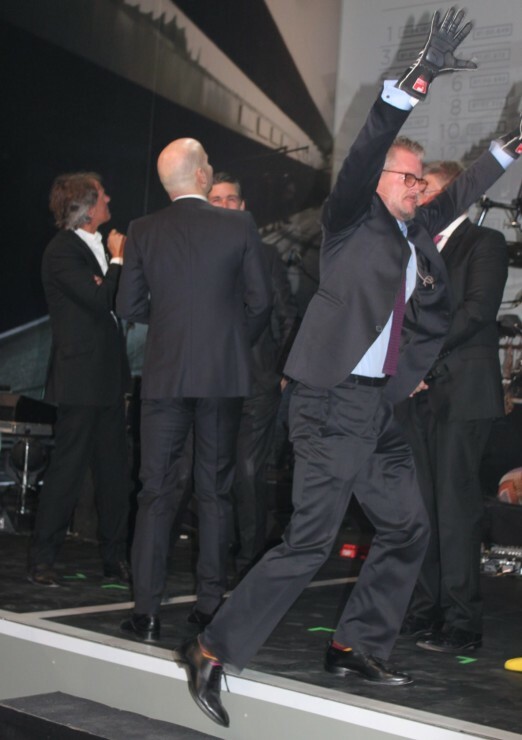 Philipp Fankhauser and band performed at the gala. 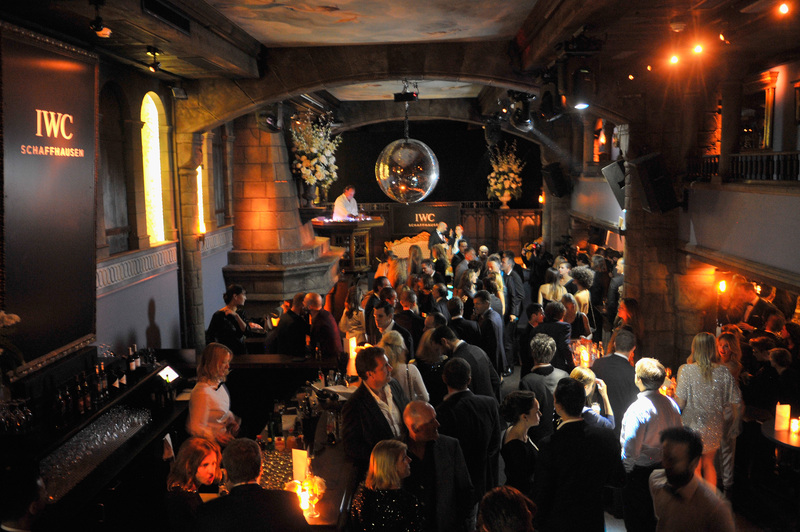 After the dinner, we continued the party at Club Adagio into the small hours of the morning. It was a truly amazing night… thanks IWC Schaffhausen for having me! 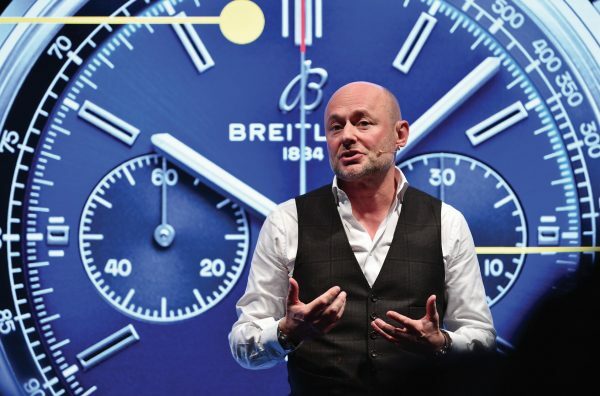 As part of the 10th Zurich Film Festival (ZFF), Swiss luxury watch manufacturer IWC Schaffhausen invited me for the opening of the “Timeless Portofino” exhibition. 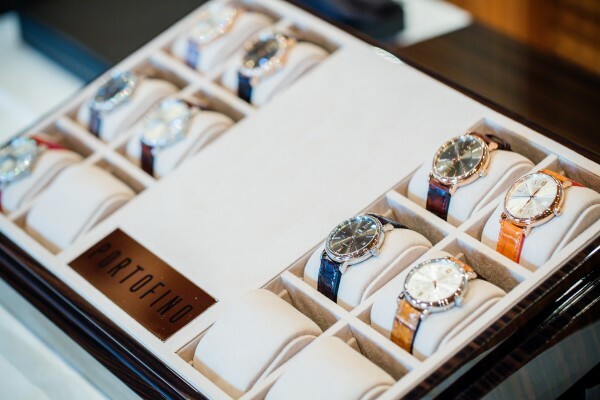 CEO Georges Kern was joined by Hollywood actress Cate Blanchett and renowned photographer Peter Lindbergh to present the amazing result of a photo shoot which involved a host of stars, such as Emily Blunt, Zhou Xun, Ewan McGregor, Christoph Waltz among others and was organized by IWC especially for the launch of its new Portofino Midsize collection. 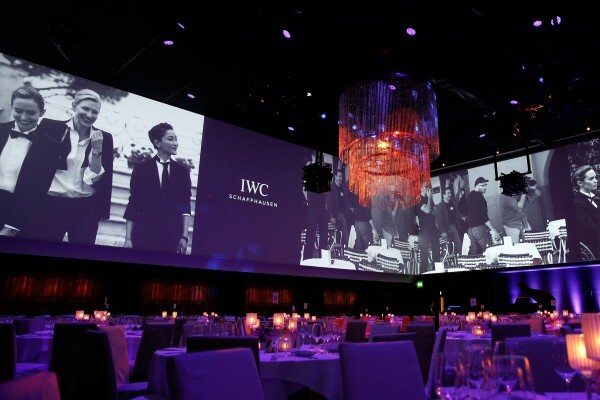 Before the exhibition set off around the world, IWC celebrated the world premiere with around 250 guests and invited them to a glamorous gala dinner (see yesterday’s post here). 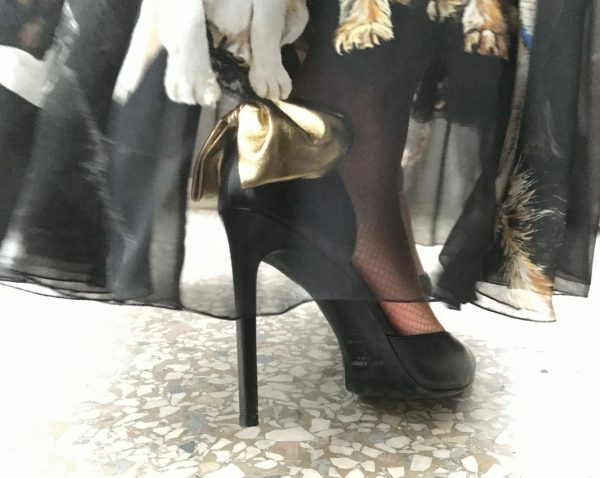 Enjoy my outfit post and the photos that I took from above upon the arrival of the famous guests as I was already inside the exhibition. 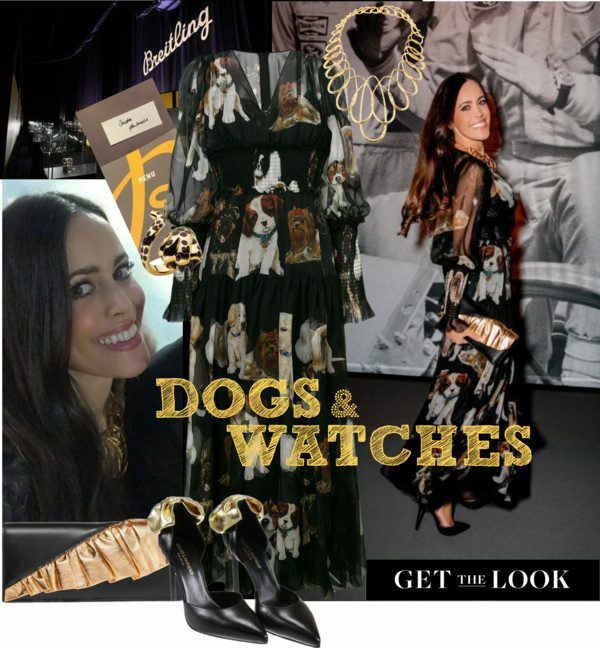 My look: Embroidered wrap-over mini-dress by Balmain, metallic and matte-leather pumps and Sac De Jour Nano leather shoulder bag , both by Saint Laurent, sunglasses by Tom Ford, statement necklace by Dior, «Mitza» ring by Dior Haute Joaillerie and Portofino midsize watch with diamonds by IWC Schaffhausen. 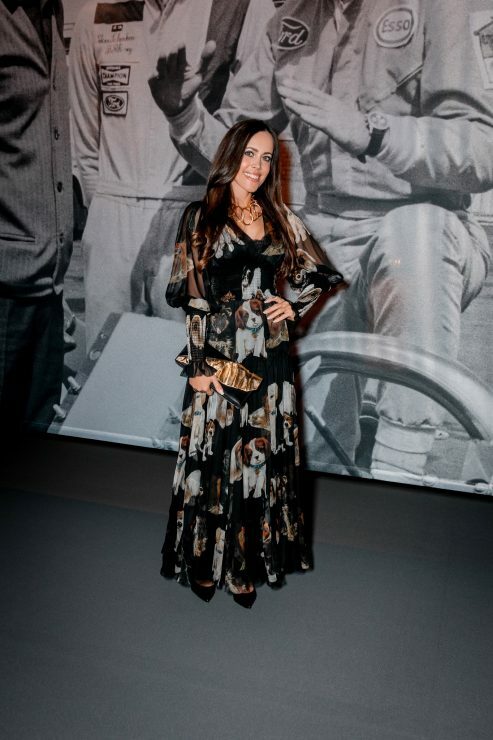 Today’s outfit post is dedicated to the amazing IWC Schaffhausen gala that took place last September during the Zurich Film Festival. 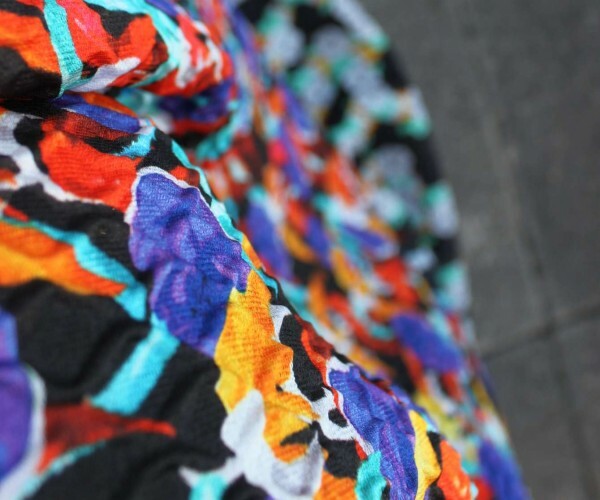 I wore a very colorful gown by Peter Pilotto that I adore. 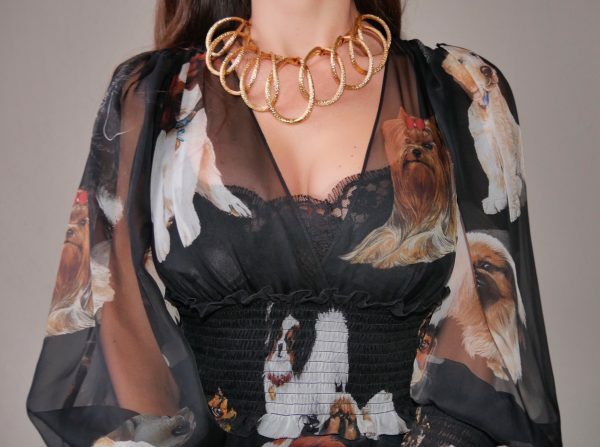 The “mix and match” effect of the fabrics is extremely up to date. 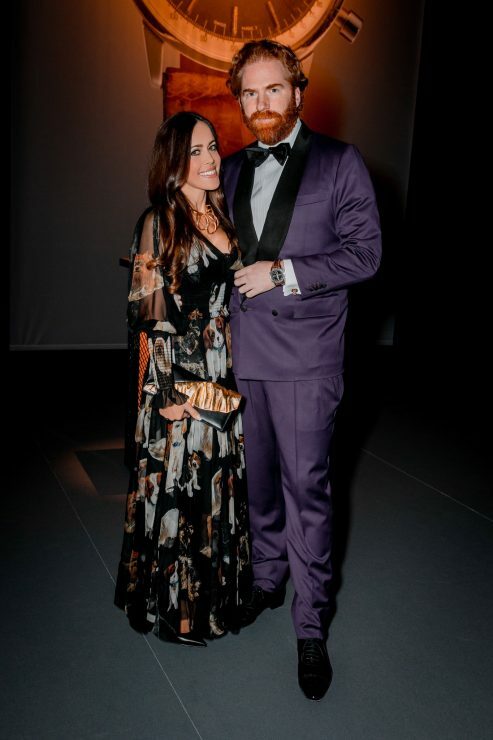 Hollywood actress Cate Blanchett, who was the star of the night, sported the floral print trend as well. 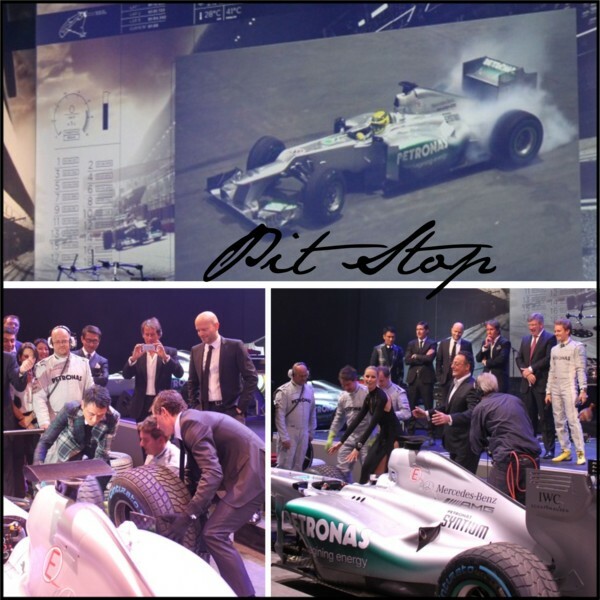 I have included some impressions of this extraordinary event for you. 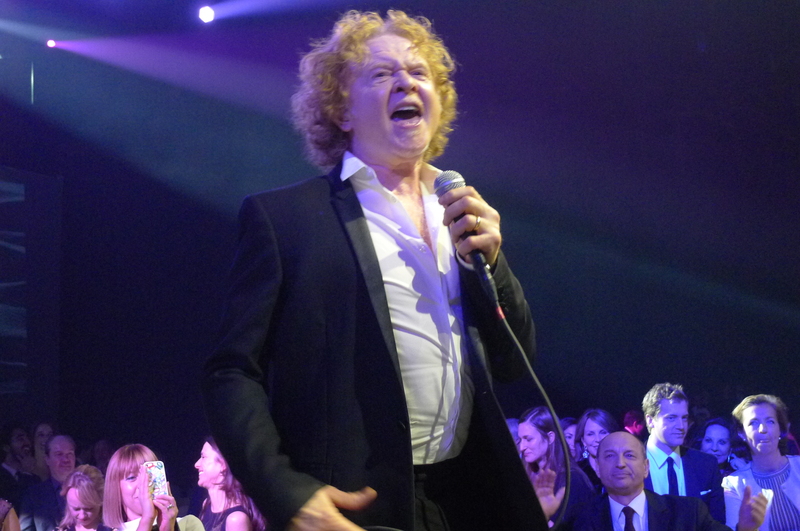 A huge thank you to Andrea Monica Hug who took some photos of me upon my arrival. 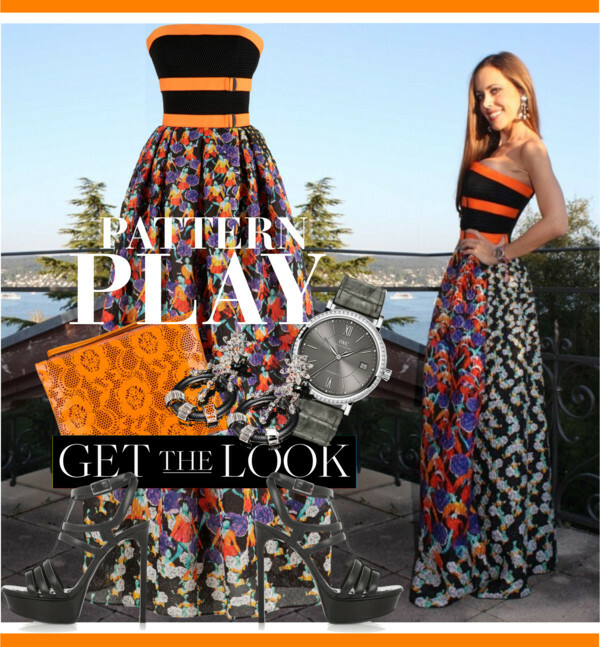 My look: Freya kaleidoscope print crepe gown by Peter Pilotto, laser-cut leather clutch by Christopher Kane, leather platform sandals by Saint Laurent, earrings by Prada, diamond ring and diamond bracelet, both by Vainard Fine Jewellery and Portofino Midsize Automatic watch with diamonds and grey alligator bracelet by IWC Schaffhausen. 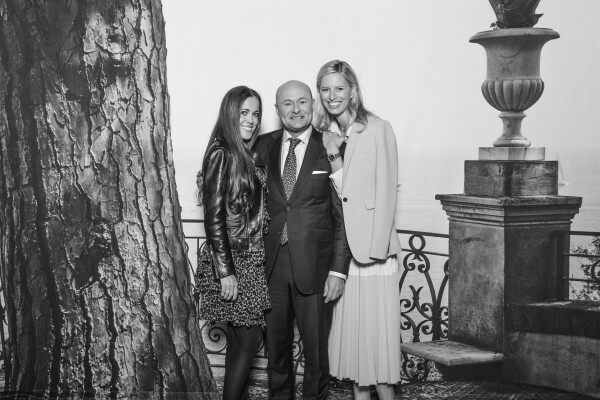 Lovely Karolina Kurkova (I hosted an intimate lunch with her one day before) framed by IWC Schaffhausen CEO Georges Kern to her right and photographer Peter Lindbergh to her left. 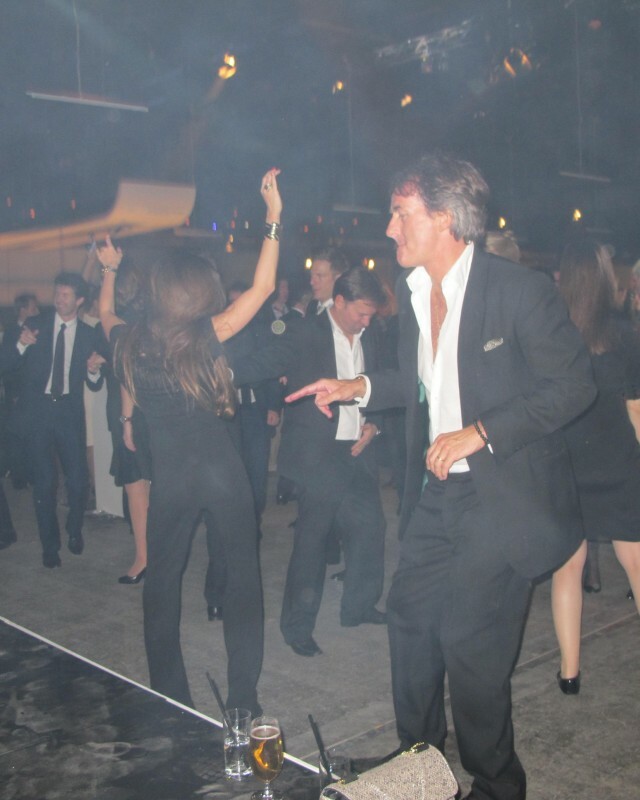 To the sounds of DJ Jack-E, we partied the whole night… definitely another unforgettable night! 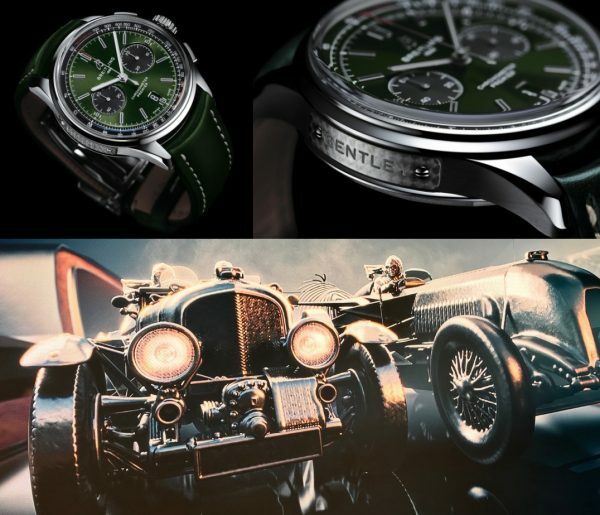 While you are reading this, I am on my way to the SIHH, Salon International de la Haute Horlogerie, in Geneva. 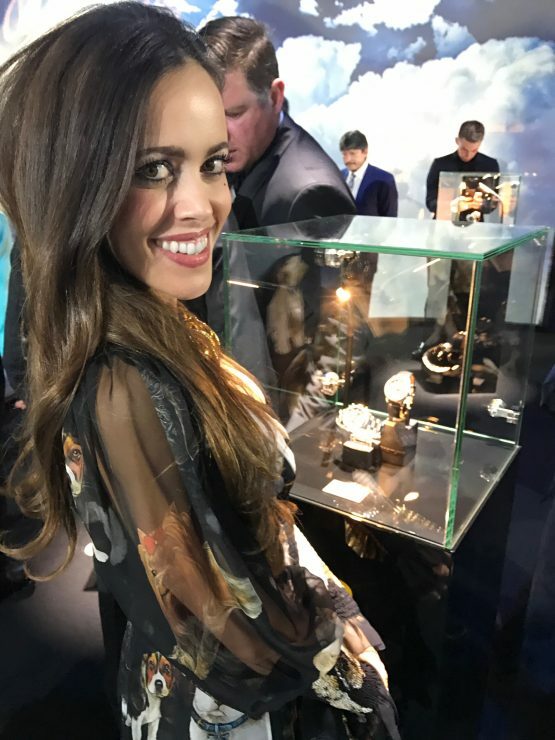 I love this watch fair where this year 16 brands exhibit their new creations in an outstanding and extremely luxury environment. 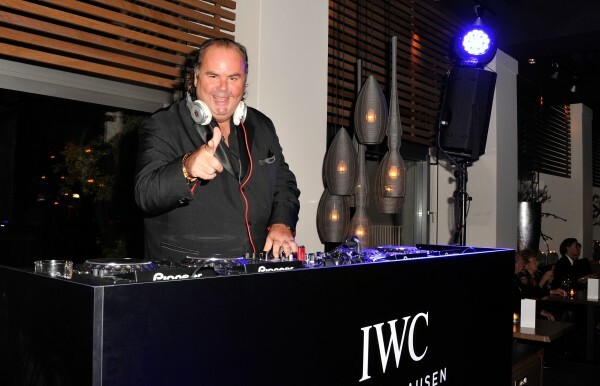 IWC Schaffhausen is one of them and I know that their booth as well as their party will once more make history. 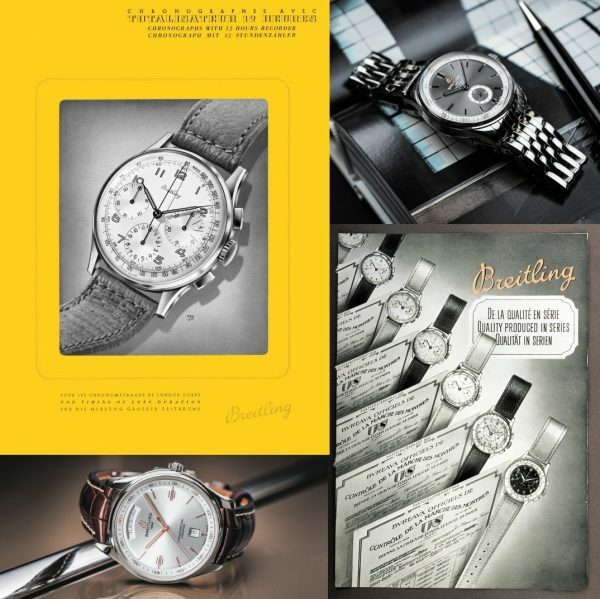 Celebrating the 75th anniversary of the brand’s iconic Portugieser watch line and launching a new collection at this year’s SIHH, I will of course keep you posted with some essential information. 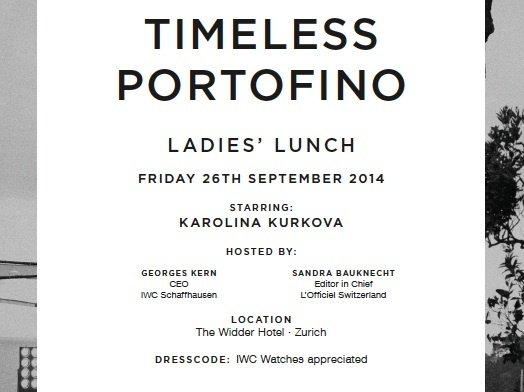 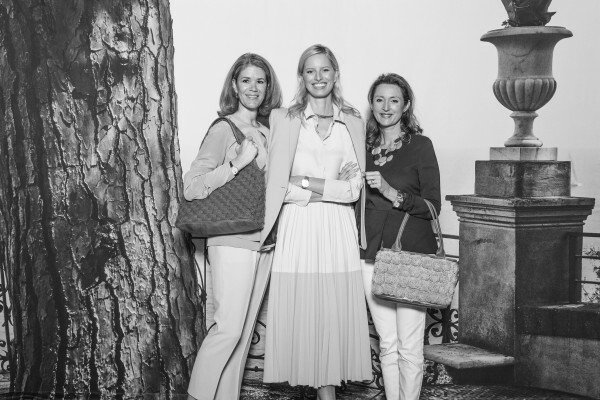 To raise your enthusiasm, I would like to show you some very exclusive photos (some of you might have seen some in the October issue of L’Officiel Switzerland) of the amazing Ladies Lunch “Timeless Portofino” during the 10th Zurich Film Festival Georges Kern, CEO of IWC Watches (co-partner of the ZFF), and my humble self hosted at the Widder Hotel in Zurich to celebrate the new IWC Portofino midsize watches. 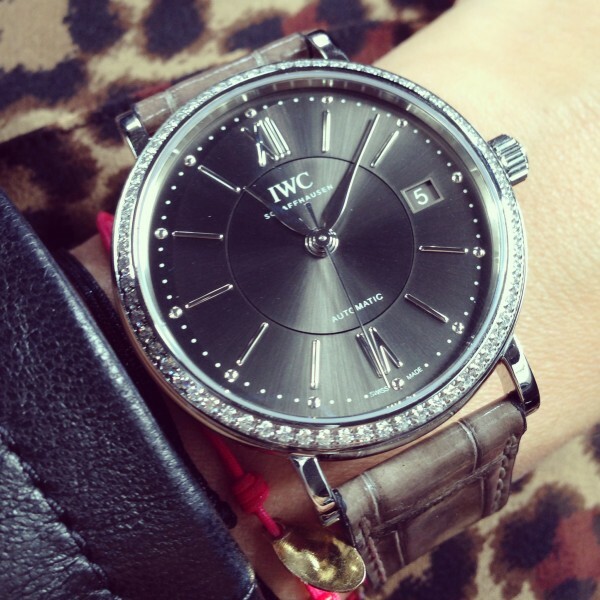 You have seen my new beautiful watch in many outfit posts. 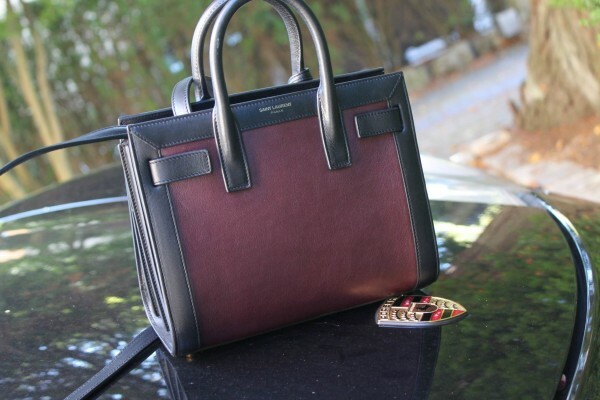 Thanks a lot to those who sent me your lovely comments about this new beauty in my closet. 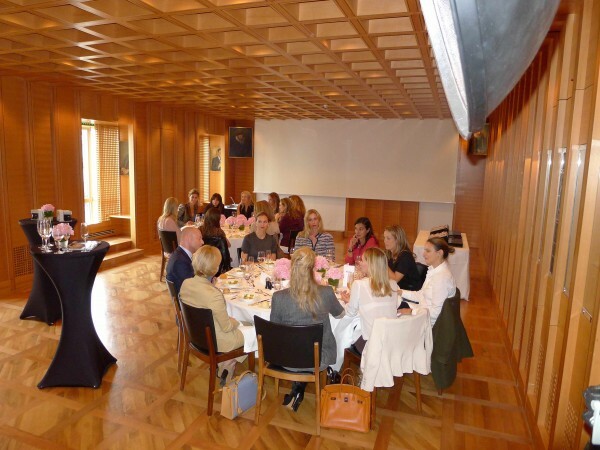 Special guest of the event was Karolina Kurkova, the charming blonde chatted over lunch about her life with my girlfriends and took a souvenir photo with each guest. 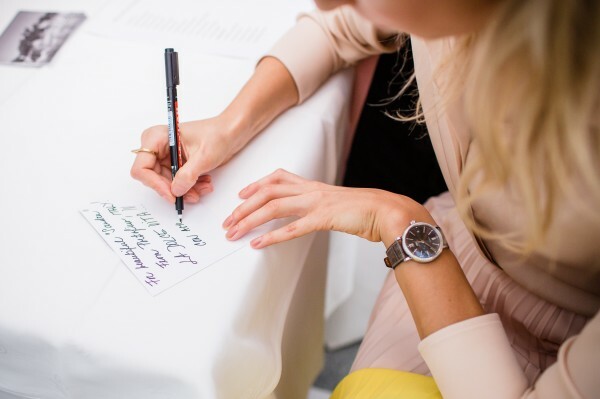 As an additional gift, there was a handwritten card with a personal dedication of the famous top model. 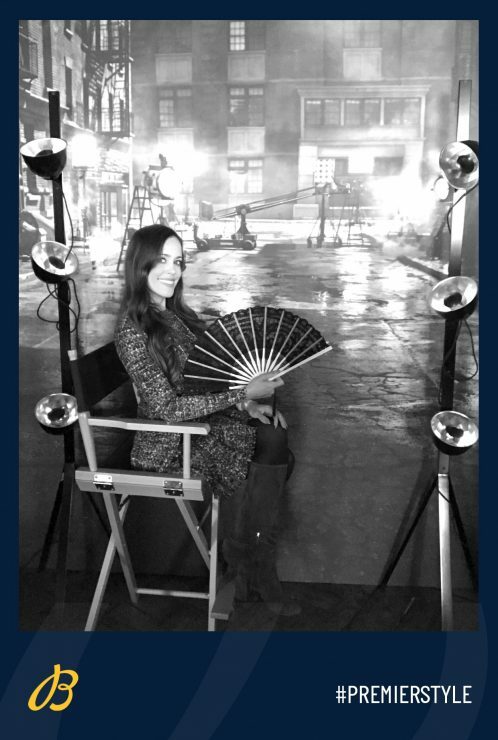 Karolina is truly an amazing woman! 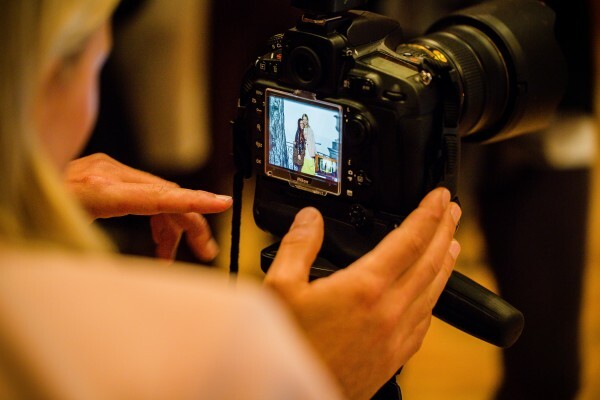 Karolina was checking on the photos (a true pro) to make sure all of them were immaculate. 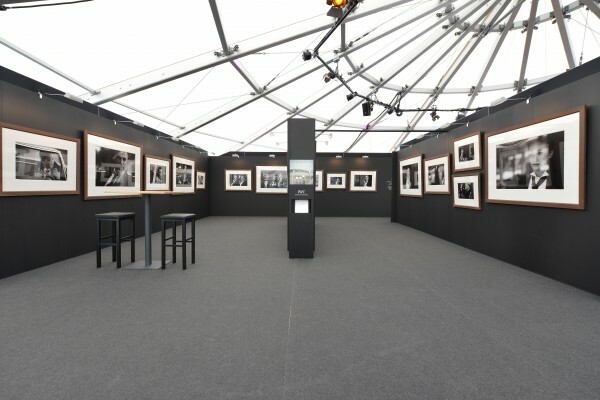 Karolina framed by Monika Kern to the left and Margarita Forster to the right. Having fun with David Biedert backstage taking some pics. 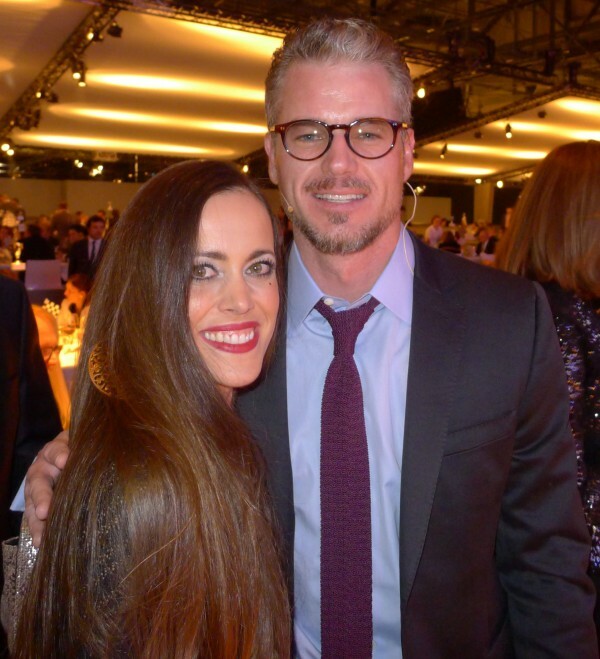 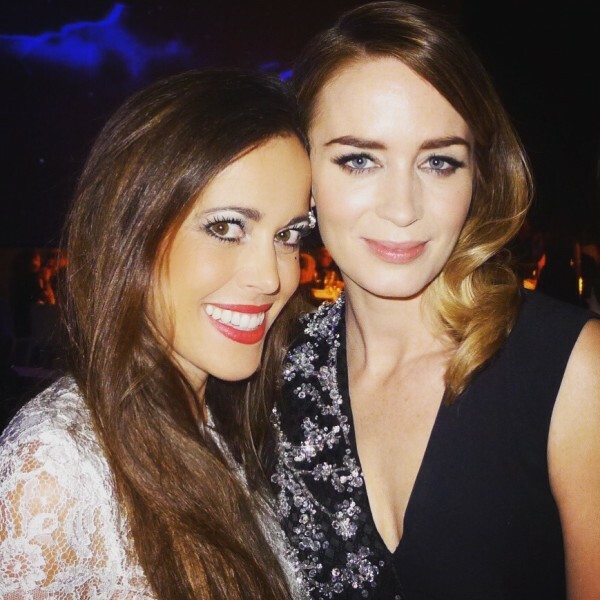 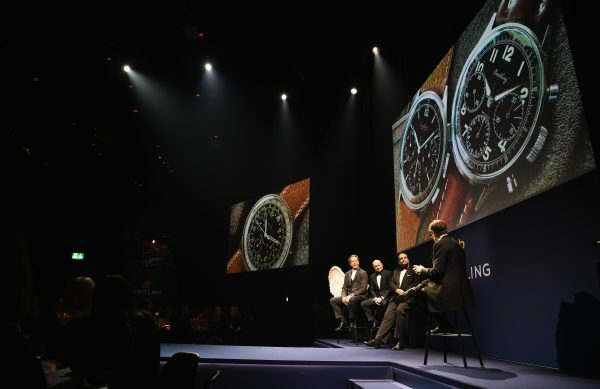 One of the most exciting events of the year is the IWC gala held during the SIHH. 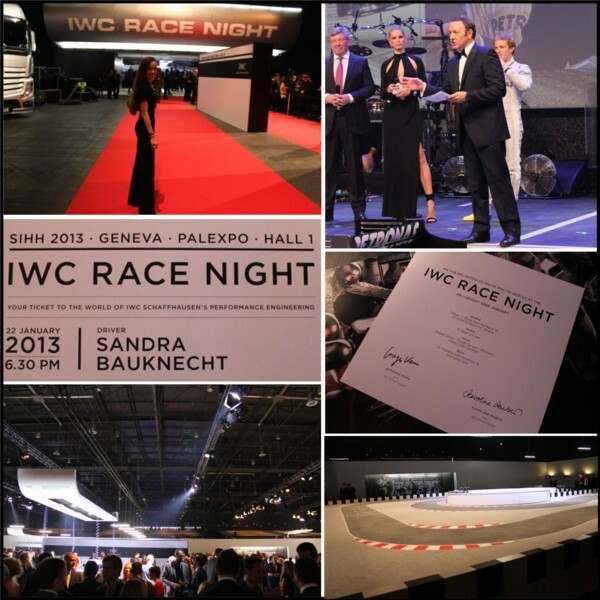 Each year, Georges Kern, CEO IWC Schaffhausen, brings glamour and worldclass celebrities to Geneva. 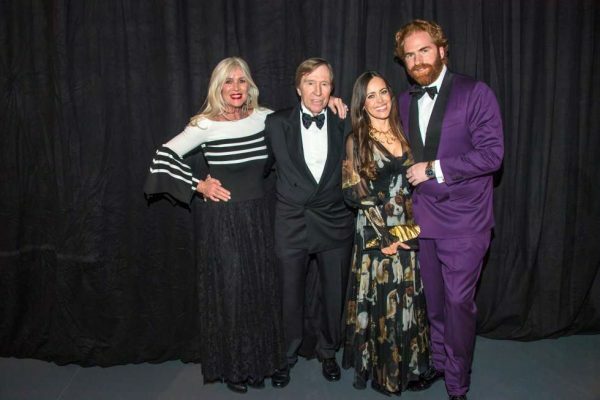 One night that makes you feel more like being in Hollywood than in Switzerland. 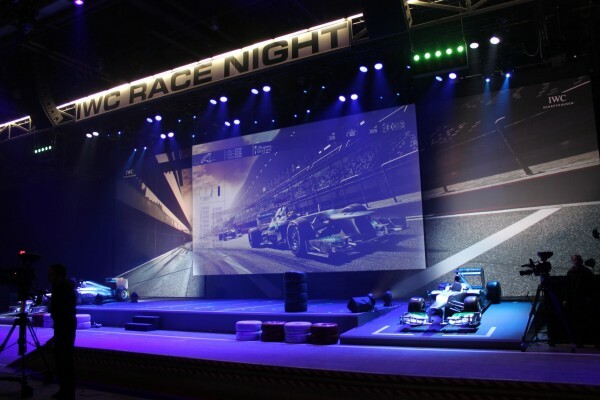 This year, the theme “IWC RACE NIGHT” was of course matching the house’s newest launch of its new Ingenieur watches that I had a closer look at during a tour around the amazing IWC booth earlier that day. 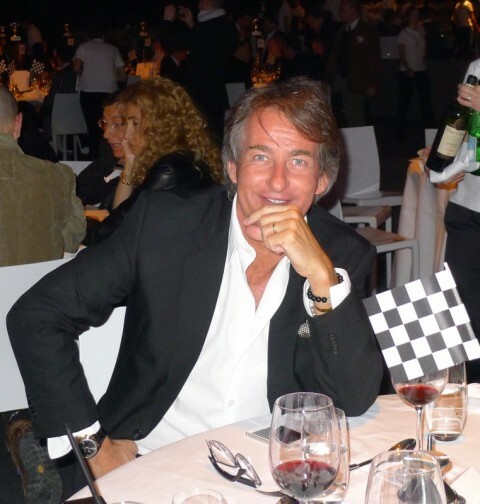 (For the post, please click here.) 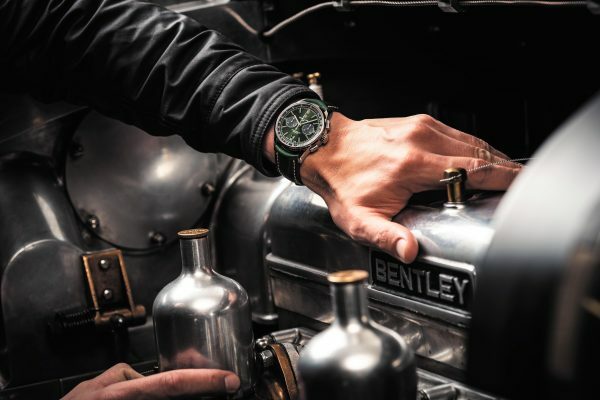 The latest collection aptly expresses the spirit of the new partnership between the Schaffhausen watchmaker and the MERCEDES AMG PETRONAS Formula One™ Team. 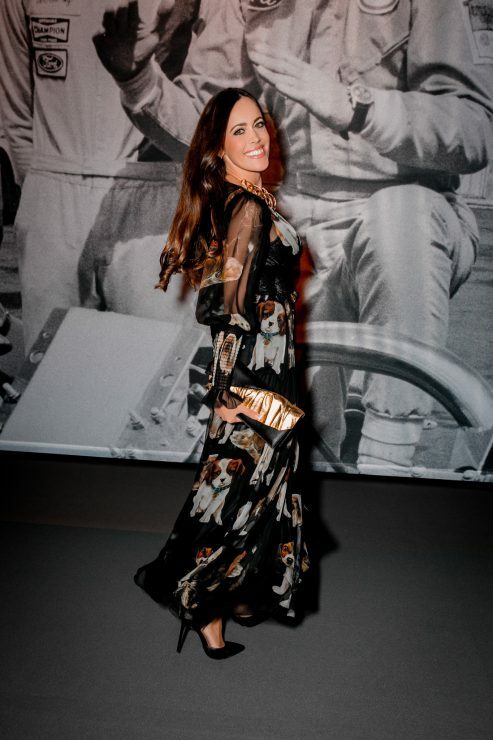 My look: Black jumpsuit by Michael Kors, shrug by D&G Dolce Gabbana, Elsie bag by Chloé, Tribute patent-leather sandals by Saint Laurent, cuff by Stella McCartney, necklace by Roberto Cavalli and earrings by Chanel. 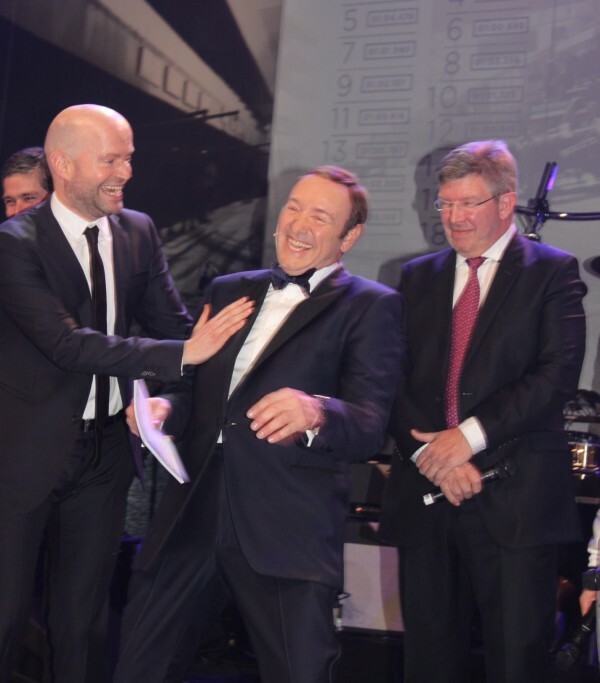 Together with IWC CEO Georges Kern, Academy Award winner Kevin Spacey compèred the IWC Race Night, while Nico Rosberg and his sleek Formula One™ racing car galvanized the atmosphere. 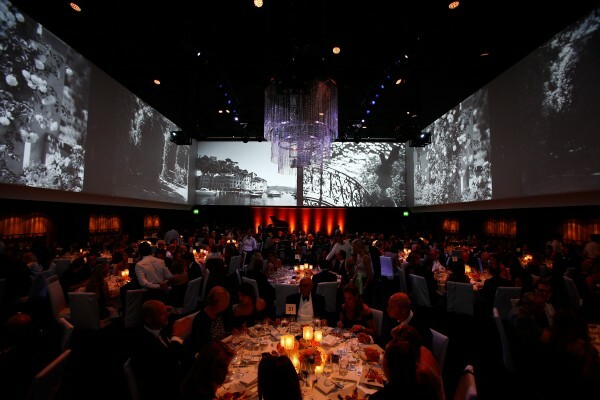 The moment, we heard the sound of the engine, it was clear why each of the over 850 guests had ear plugs at the table. 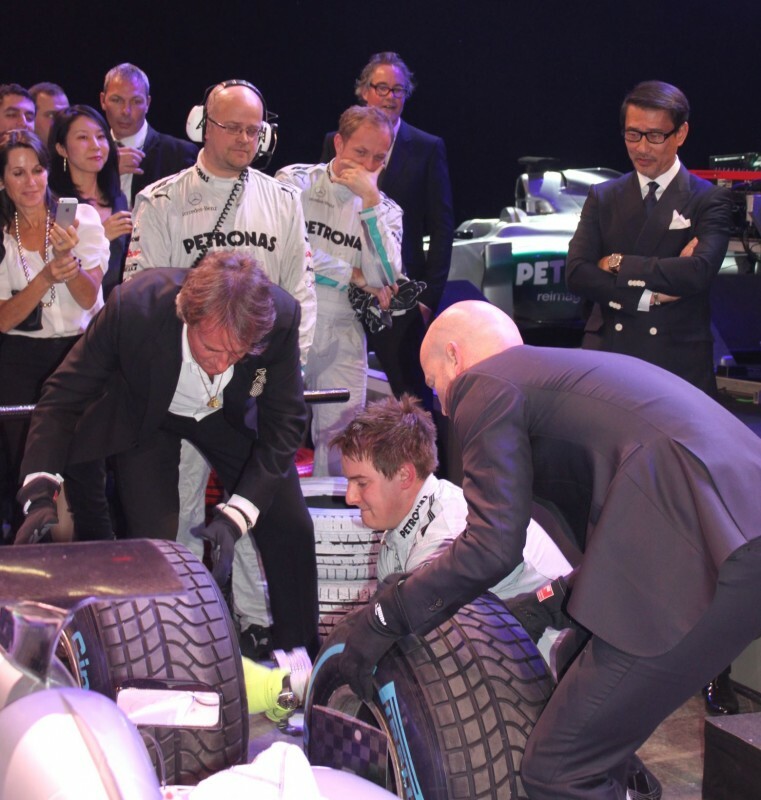 A spectacular competition between some prominent guests ensued when Nico Rosberg invited them to change the tyres on his Formula One™ car. 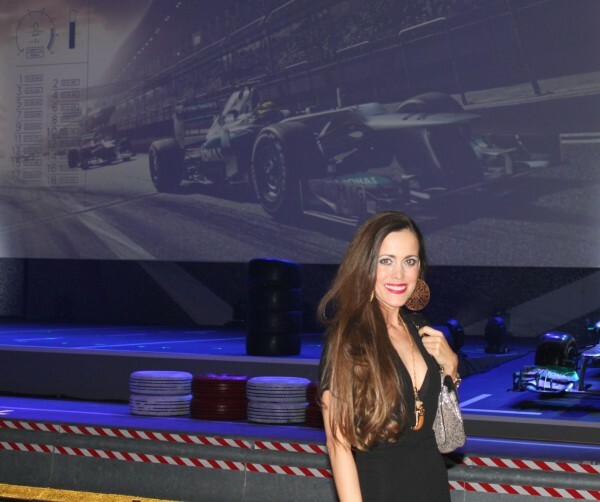 In a simulated pit stop, top model Karolina Kurkova, film stars Matthew Fox, Jean Reno and Eric Dane, as well as Asian actors Francis Ng and Kiichi Nakai tried to get the sleek-bodied vehicle back on the track in the 3 seconds that were given to them. Personally speaking, the culmination of the night was a private concert from the British band Jamiroquai. 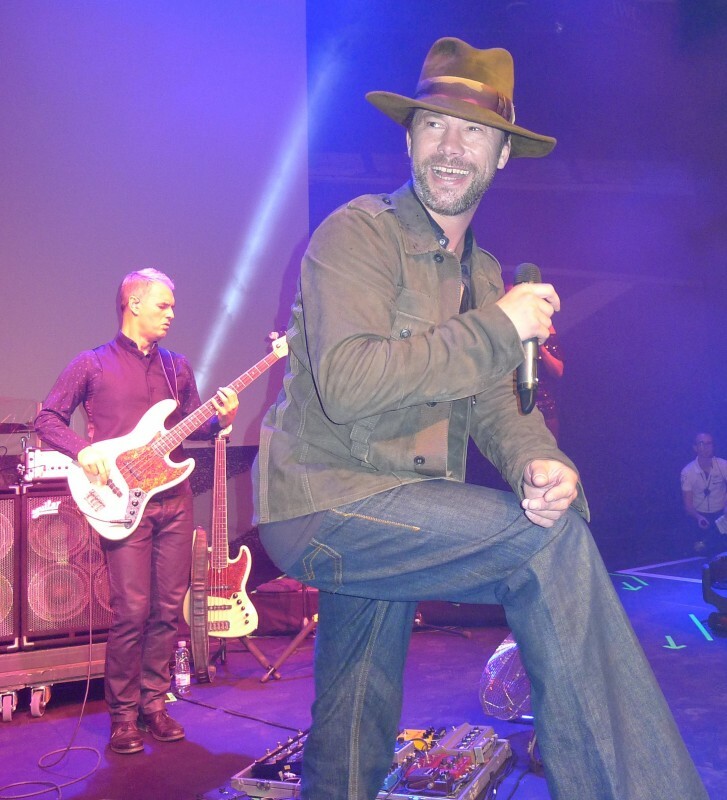 Lead singer Jay Kay has such a rhythm and incredible presence on stage that I couldn’t stop dancing all night… as you can see in the last picture. 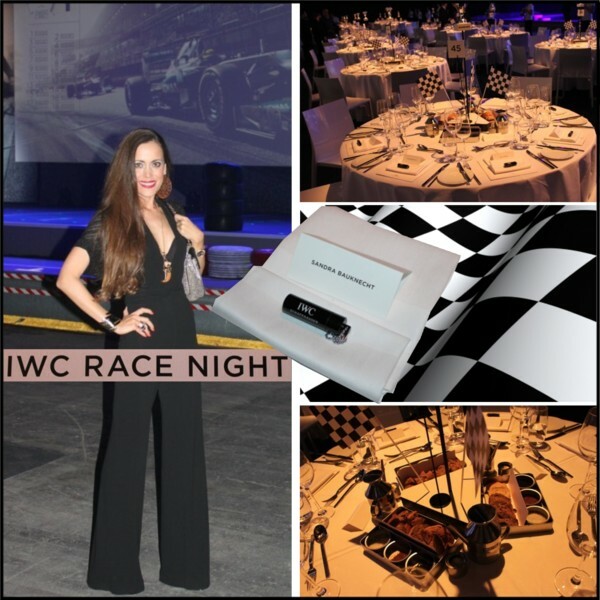 Thank you, IWC, for letting me be part of this outstanding event! 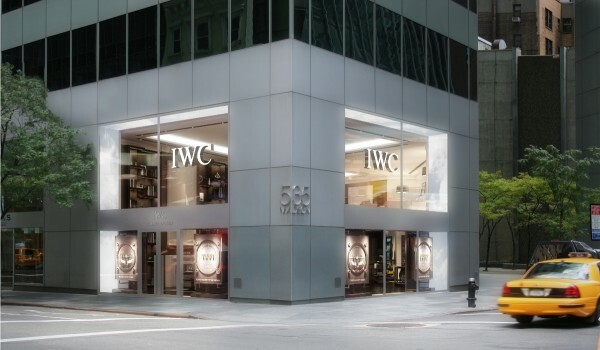 Swiss luxury watch manufacturer IWC Schaffhausen opened its first US Flagship Boutique in New York City this month – with 3,000-square-foot the largest of its kind worldwide. 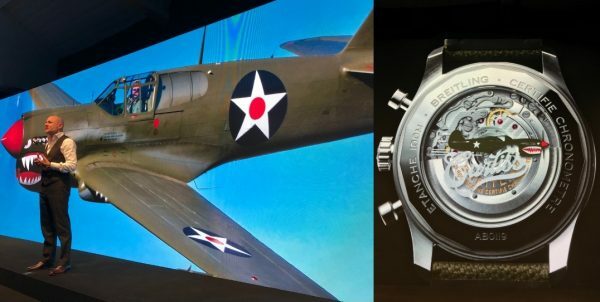 In fact, IWC founder Florentine Ariosto Jones, an American entrepreneur who launched the brand in 1868, was born only a few miles away from the company’s new landmark. 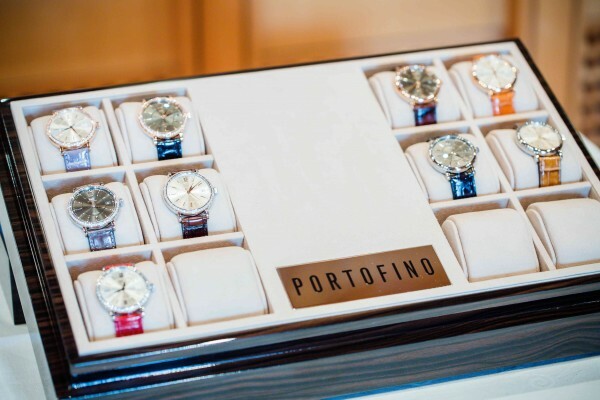 Today, customers can explore the brand’s watch families – Aquatimer, Pilot’s Watches, Portofino, Ingenieur, Da Vinci, and Portuguese at this outstanding bi-level boutique. 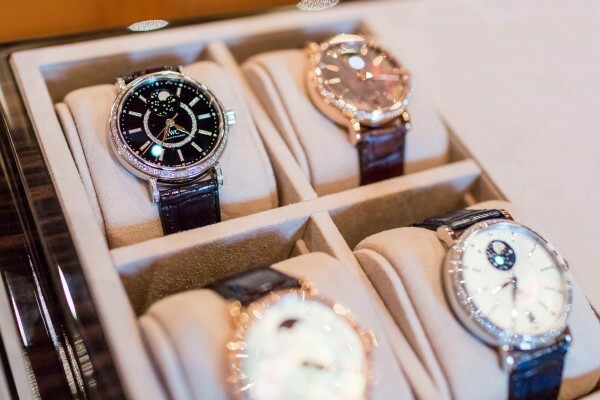 I would like to invite you to check out IWC’s newly launched NYC Globetrotter Guide that offers lots of insider tips for the city that never sleeps. 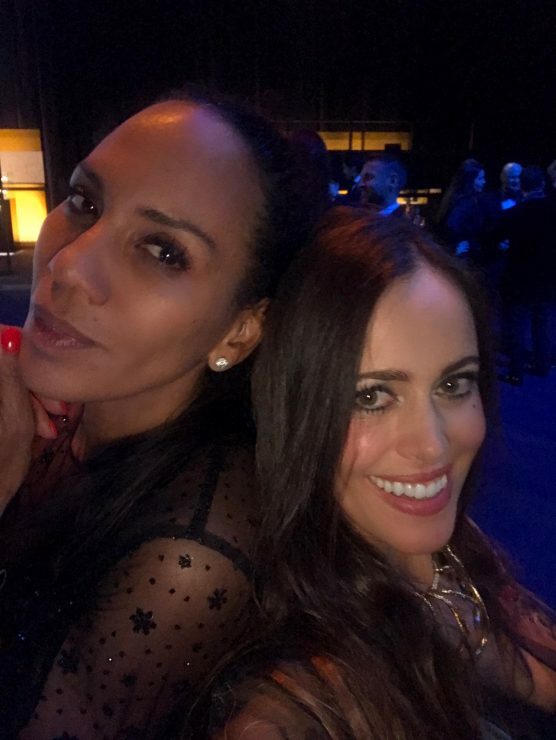 Just click on the highlighted text.